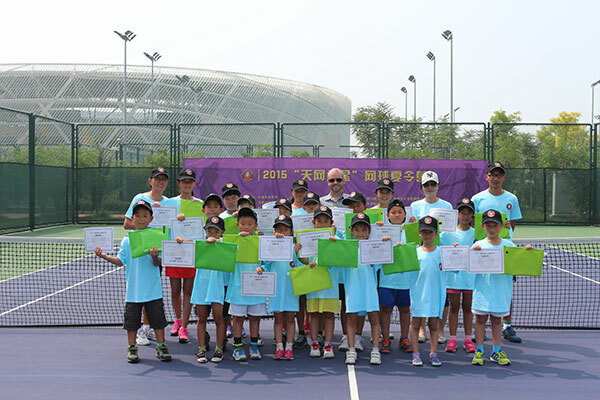 2015 "the Star of Tianjin Open" tennis summer camp at Tianjin Tuan International Tennis Center has been finished on July 25. 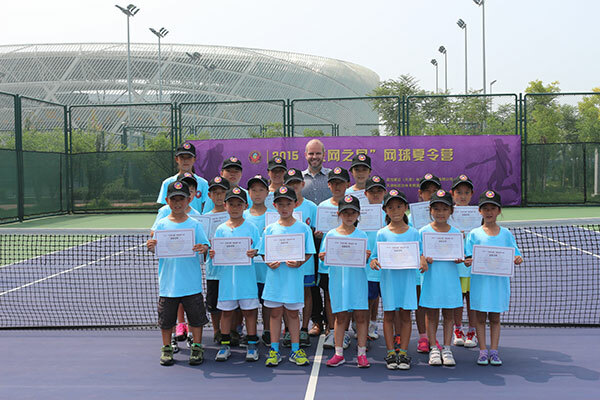 At the closing ceremony, Stephen as the Tournament Director of WTA Tianjin Open shared the meaning of growth for teenagers to play tennis, and he also issued the certificate to them one by one. 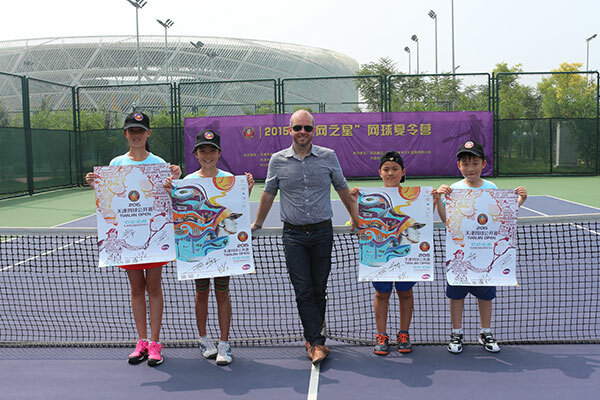 In addition, Stephen also brought a special gift for every student, which is the tournament poster signed by Wang Qiang, Liu Fangzhou and Duan Yingying, to motivate everyone to grow together with Tianjin Open. The purpose of holding this one-week summer tennis camp by WTA Tianjin Open organizing committee is to provide an opportunity for the Tianjin teenagers who love tennis to closely learn about such a high level international tennis tournament by fully use the venue facilities and resources of Tianjin Open, through the activities such as training of tennis and relevant knowledge training to enlarge the field of vision, train their will, cultivate their consciousness of cooperation, and motivate them to become more outstanding on every aspect! 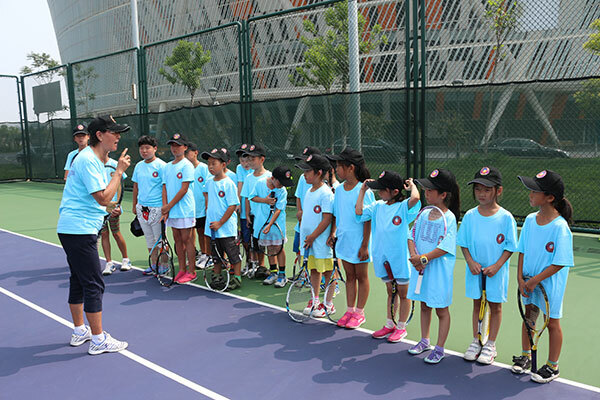 For those whom attended the "Star of Tianjin Open" summer tennis camp, it is an opportunity to experience the collective living, and a good way to enhance the sense of independent, as well as improve their own quality. It is not only a good stage full of challenges, but also an event fulfilled with knowledge and communication. The organizing committee hopes every student can grow up together with Tianjin Open, and to be the real “Star of Tianjin Open" sooner or latter, standing on the stage of tennis in China and even the world.